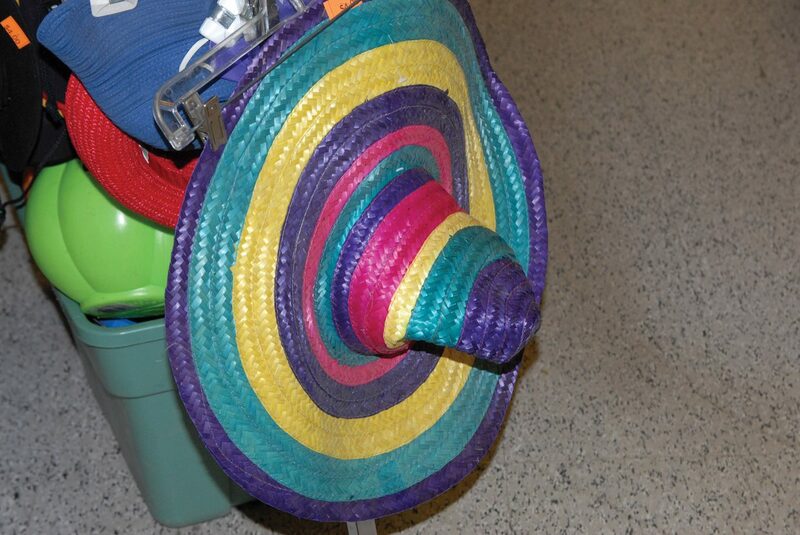 The Community Budget Center currently has an entire section dedicated to Halloween and costumes, including this rainbow-colored sombrero. CBC is one of several thrift stores currently operating in Craig. Craig has become a hub of competition for an unlikely business-type: thrift stores. With a few thrift stores already in place for years, three more have opened in Craig in the past 15 months, making the city a hot spot for the shopper looking for great deals or unusual items. Without the massive infrastructure of an organization like Goodwill or the Salvation Army, Craig residents have nonetheless dived into the thrift store business. For those owners, the businesses started for a variety of different reasons and at different times in their lives, but one characteristic is similar: a love for thrift. Gail Canto’s store, Charlotte’s Web, has been serving the area with extreme-reduced prices on-and-off since Canto opened it in September of 1998. A native of England, Canto came to Craig after spending time in Connecticut and Steamboat Springs to enjoy a more quiet life. When Canto’s first child was on the way, she didn’t want to miss a moment. So she started rented the space for Charlotte’s Web, a place where she would be the boss and could bring her son to work. Canto said Charlotte’s Web, 1313 N. Yampa Ave., became a home away from home for her. Other shops have not been around for as long. Lucille Strange, owner of the Stop & Shop Thrift Store, 2255 W. Victory Way, has only had her thrift store for about a year (it opened Oct. 23), and opened it because she was struggling to get hired anywhere else. Heather Lorio opened Elbe Gray’s Thrift Shop at 1695 Victory Way in July of 2011. Lorio’s store replaced the thrift shop that used to be there, owned by Dorothy Wyman. Lorio had been a frequenter of thrift stores most of her life, and wanted to see if running a story worked for her. Most recently, Peggy Satterwhite opened Sacks Yampa Avenue at the beginning of October. She opened her store, which gets its inventory from storage unit auctions, because she thought it would fill a niche. While their motivations were different, all three women had the idea of doing a thrift store because they enjoy them. “I am enjoying it very much because I love to go to the thrift store,” Strange said of running her shop. Satterwhite started her shop after enjoying the A&E show “Storage Wars,” but loves the people she has met at auctions and the items she comes across in storage units. While the for-profit shops are more common in Craig, the Community Budget Center on Yampa Avenue is a non-profit thrift shop, which uses its proceeds to help members of the community pay rent, utilities or whatever else is giving them difficulty. The Budget Center gets its inventory entirely from donations, which is why CBC Manager Karen Brown says a large amount of thrift stores can coexist in Craig. In fact, having competition is a good thing, Brown said. Otherwise, the stores would not be able to keep up with all the items coming in. Lucille Strange was aware of the competition when she was looking to open her shop, but it didn’t deter her. While not booming business ventures in Craig, the thrift stores have made money for the most part because they get inventory for little or no cost. In addition to the thrift sales, Gail Canto sells all-natural soaps and lotions and makes gift baskets at Charlotte’s Web. Sacks has craft shows in its back room every day, and sells those trinkets in addition to whatever Satterwhite gets from storage auctions. Booming or not, thrift store owners and workers are enjoying the work they’re doing due to a natural curiosity and enjoyment of the quirky items they come across every day.